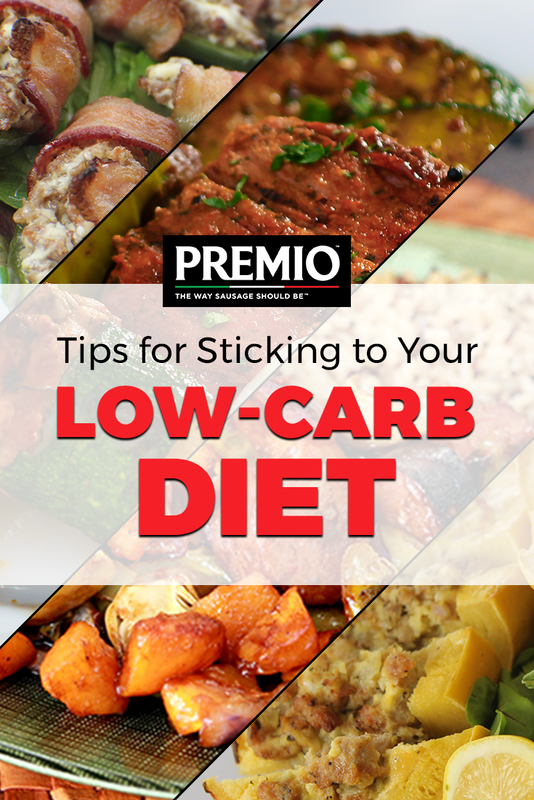 The holidays are right around the corner, and with all the family meals, fun gatherings and goodies that accompany them, you might be worried about keeping your habits healthy, keeping your cravings in check and making sure your low-carb diet doesn’t go to waste. There’s nothing wrong with having fun and indulging a little around the holidays, but you also want to ensure your hard work and health stay in check. Here are some helpful tips for keeping up with your low-carb diet while still getting into the holiday spirit. When it comes to candy canes, gingersnaps, chocolates and other holiday goodies, treating yourself can be tempting, but be sure to pace yourself and stay aware of what and how much you’re eating. When you’re trying to stick to your low-carb diet, it’s important to read the nutrition labels on any packaged foods, paying attention to added sugars, trans fats and — of course — carbs to keep yourself in check. You should also make sure to stick to the recommended serving sizes. For treats that aren’t packaged with labels, try to limit yourself to one to be mindful of your diet. All those holiday meals and festivities tend to focus a lot on carb-heavy foods like mashed potatoes, stuffing, gravy and all those good comfort foods. To stay true to your low-carb diet while still allowing yourself a bit of indulgence at family meals, take in a healthy amount of protein with every helping of carbs. Stock up on turkey, ham or chicken to fill up without reaching for second helpings of those carbohydrate-centered entrees. You’ll thank yourself come January. With family members home for the holidays, celebrations going on at work and among friends, shopping trips keeping you out and good cheer keeping you happy, you might find yourself heading out to eat much more around the holidays than you might the rest of the year. Enjoying a few meals out, however, doesn’t mean you have to be caught off guard or take a break from adhering to your low-carb diet. Whenever you plan on going out, plan ahead too — check the restaurant menu online for low-carb, low-calorie and nutritious options to make sure you arrive armed with the knowledge to make healthy choices while you enjoy time out. If you’re hosting holiday events, the pressure to provide delicious, traditional meals for your family doesn’t mean you have to ignore your own low-carb goals. Instead of caving and eating carb-heavy or unhealthy foods to cater to everyone else, look up some delicious low-carb recipes to keep everyone satisfied and stick to your diet at the same time. With mouthwatering low-carb meals like Cheese & Garlic Chicken-Stuffed Squash, Sausage and Bacon Poppers, Oven Sausage Winter Veggie Roast and other delicious, nutritious options, you’ll be all set for staying healthy and satisfying everyone’s hunger over the holidays. Be sure to pick Premio sausage varieties to make your meals amazing, and browse all of our easy, low-carb sausage recipes online or find a store near you today.